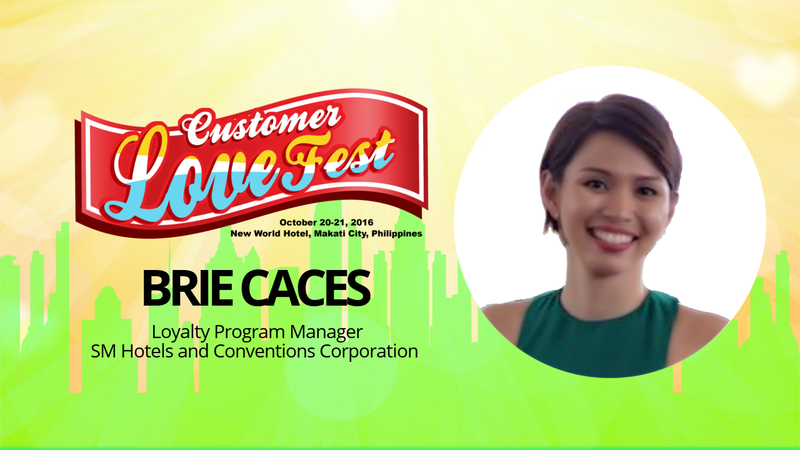 Customer LoveFest 2016 welcomes SM Hotels and Conventions' Brie Caces! The 2016 Customer LoveFest welcomes SM Hotels and Conventions Corporation Loyalty Program Manager Ms. Brie Caces! Ms. Caces has four years of experience in the events industry, having worked in the events management industry. As the Loyalty Program Manager for SM Hotels and Conventions, she is responsible for the launch, conceptualization and management of the company's loyalty program activities. See her and other international speakers at the New World Makati Hotel this October 20 and 21, 2016.